Michele Rizzo started to develop his interest in art and performance in Italy where he studied piano, dance technique, and architecture. In 2011 he graduated from the SNDO (School for New Dance Development) in Amsterdam. His artistic practice includes making performance, dance, visual art and music. He has been performing his own work over Europe, the United States, and Brazil.He has been performing in the work of Nicole Beutler & Ulrike Quade, Diego Gill & Igor Dobricic, Emio Greco | Pieter C. Scholten, among others. In 2014, he created M, an on-going project, which takes the shape of performance, exhibition and magazine in collaboration with dramaturge Igor Dobricic, and various visual artists, including Daniel Vom Keller, Katarzyna Szugajew and Erwin Olaf. This project wassupported by ICK, Nagib (Maribor) and Dansmakers, Amsterdam. 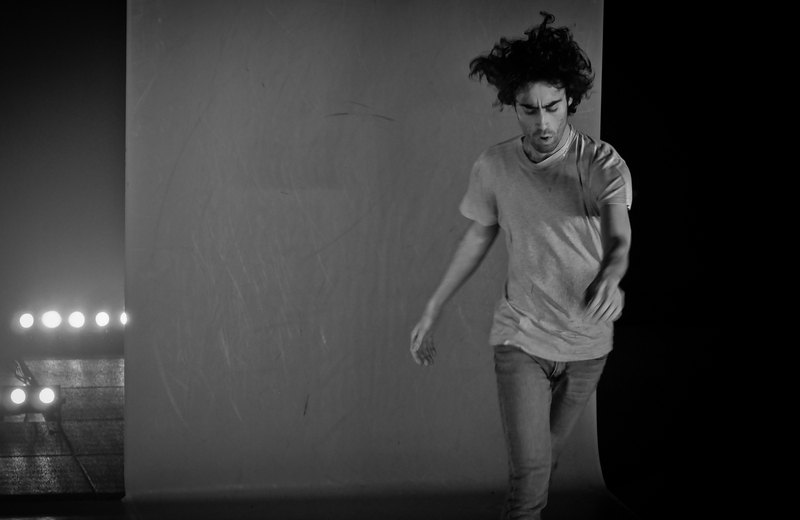 His newest work Higher(2015) inspired by clubdance, is now touring in Europe. Next to his performing/making practice Michele teaches regularly at the SNDO in Amsterdam and gives workshops at international festivals. This project proceeds from an attempt to offer a glimpse Iinto the life of a contemporary dance maker at work in a studio. More specifically, it concerns Michele Rizzo's idiosyncratic approach to such a life - his particular personal way of dealing with a situation of embodying, on a daily basis, the double position of a choreographer and a dancer at work. The paradox of this project and a main dramaturgical and performatilve point of research contained in it is how, in a literal rather than metaphorical sense, to make an invisible, hidden creative process into a valid (visible) public product without compromising the integrity of either. In this sense, the project explores the limits of invisibility and visibility and self-reflection in the work of a dance artist, both from a personal and a theatrical perspective.